David is the Partner in Charge of Piper Alderman’s Employment Relations section and has over 30 years' experience acting exclusively for employers and employer associations. 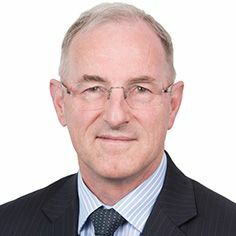 His practice covers all areas of employment and industrial relations laws which are of concern to employers and extends from strategic and defensive advice through to the resolution of litigation and disputes. David can also provide specialist advice on issues relating to employment contracts, independent contractor arrangements, enterprise bargaining, redundancies, termination of employment, sale of business, work health and safety, discrimination and workers' compensation. He regularly provides advice at Board level and to Senior Executives and Human Resources Managers. David has been recognised on the Best Lawyers ® list for Labour and Employment Law and Occupational Health & Safety Law in 2014, 2015, 2016 and 2017.